The Children’s Long Term Ventilation Team (LTVT) was set up in October 2012 by Stockport NHS Foundation Trust. The service supports children aged 0-19, living in the Stockport area who require mechanical ventilation either just overnight or 24 hrs per day. The team is led by specialist paediatric nurses who train and monitor a team of highly skilled support workers, to deliver the individualised care that the child requires. If your child has a ventilator requirement that meets the continuing health care (chc) criteria you may be referred to our team for support. The referral will usually come through from the tertiary hospital that has instigated the ventilation, via a social worker or directly from the clinical commissioning group (CCG). 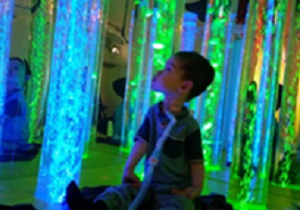 The team can provide bespoke round the clock care for those children that need mechanical ventilation and also may have other complex health needs. We support the child in their own homes, to facilitate the child to be in the home environment, whilst enabling the family to carry on functioning. The support staff also supports the children in nursery, school or on outings into the wider community to ensure they access the same experiences as any other child.